I awoke this morning to find a gift wrapped up for me. 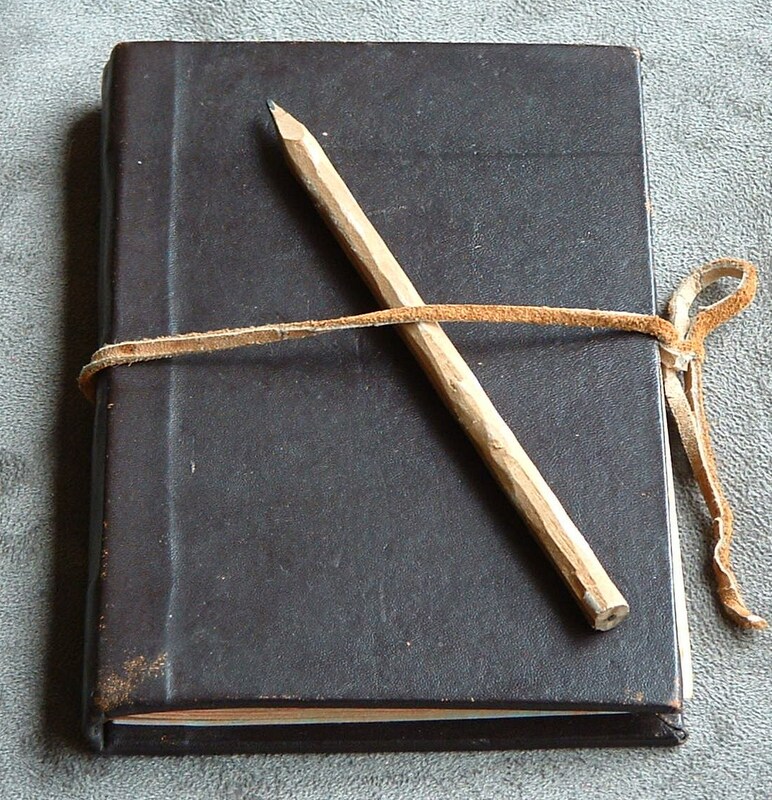 Inside the carefully wrapped package was this Journal and writing stick. I know whom it’s from, it’s from my sister Star, she once told me I should write my thought’s and feelings down for my owner to read. At the time she mentioned it the owners I had refused to buy me such a thing. They felt I had to earn it, and they desired to hear me say how I felt and thought versus writing it down. I Often wondered if they ever considered that perhaps sometimes a girl is too scared to vocalize how she feels and thinks, often writing it down is so much simpler and easier then attempting to voice confusing emotions and or thought’s which at that moment make no sense to the narrator. I am grateful to my sister for providing me with this way of expressing how I feel, how I think, and how I observe things. I Only hope she doesn’t get into trouble from Master Jerold for her thoughtful gift. Now, this Master I woke up beside, he is a handsome one. For half the eve I wished desperately to touch his face and make sure he was real and not some dream. Despite my desire, I dared not touch him for fear he would awake and kick me out of his tent. Yes, logically I knew he was flesh and blood real. The warmth of his body pressed against mine was the only truth I needed. My sister suggested I pretend to be her with him, yet this pull within me does not wish to start the getting to know you phase based on a lie. I do hope he likes me, perhaps he may even want to purchase me from Master Jerold. It would be nice to be owned by a younger owner once again. Well physically younger anyway, as I have honestly no idea how old this Master truly is. For now, I guess that is all journal.